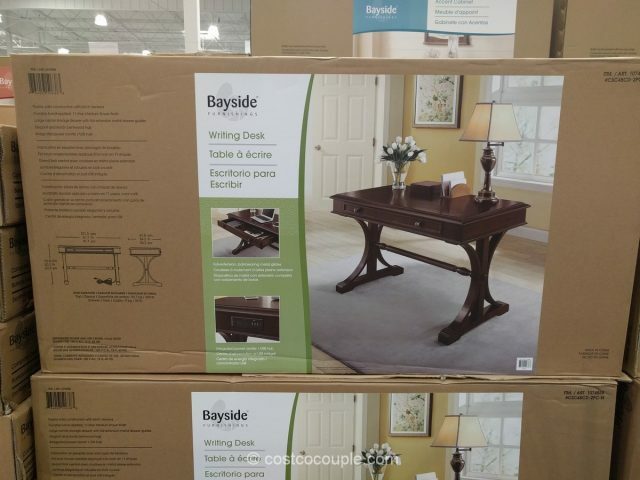 Check out the Bayside Furnishings Writing Desk for an elegant desk with a traditional look. 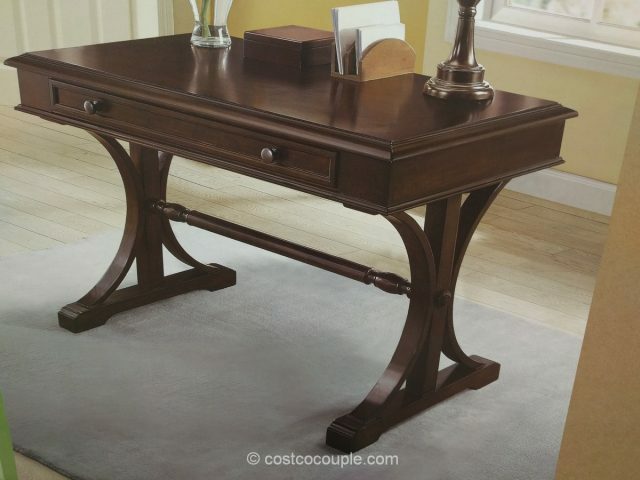 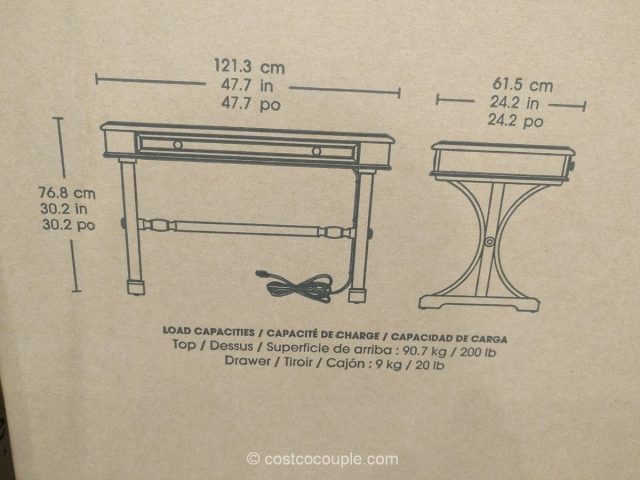 This desk features solid poplar construction with birch veneers in a medium brown finish. 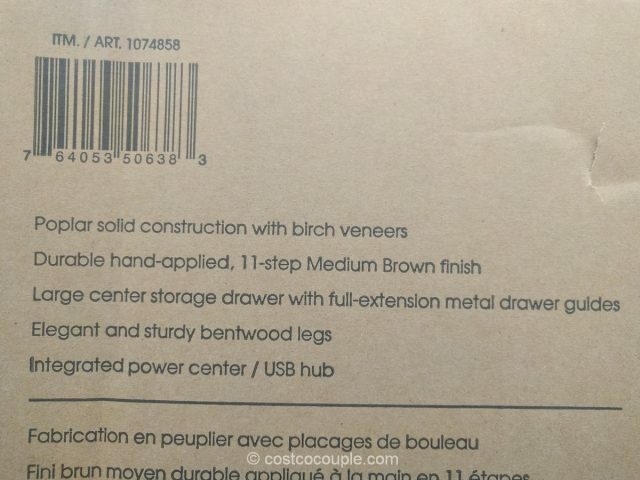 There’s a large center drawer with full extension metal drawer guides. 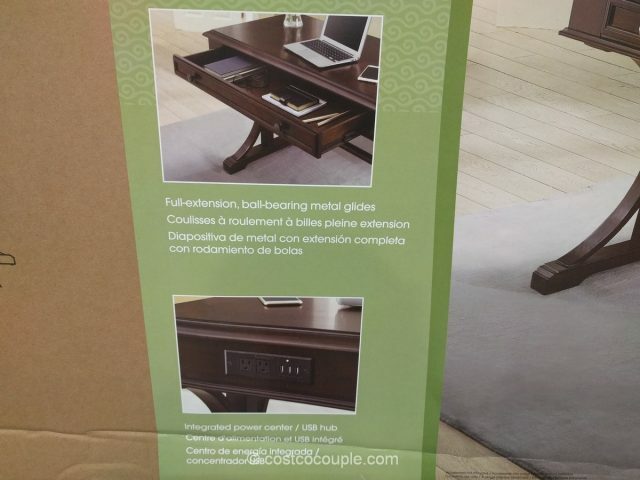 An integrated power center/USB hub is another features of this desk. 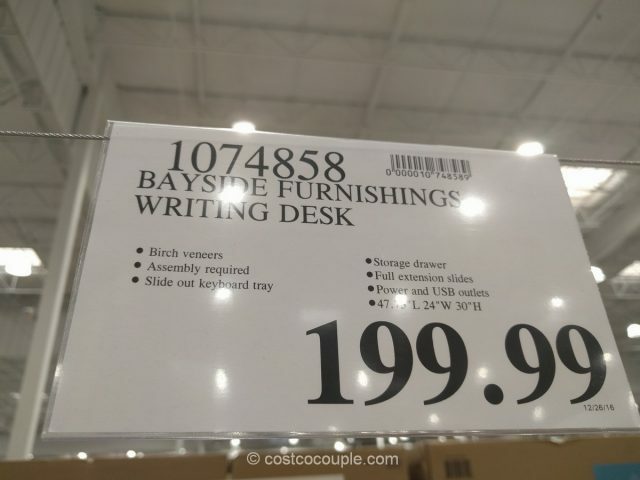 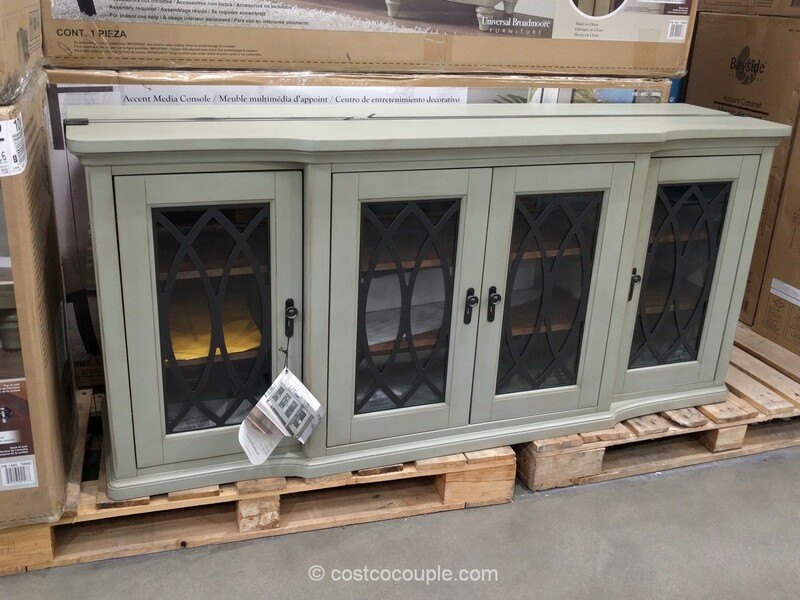 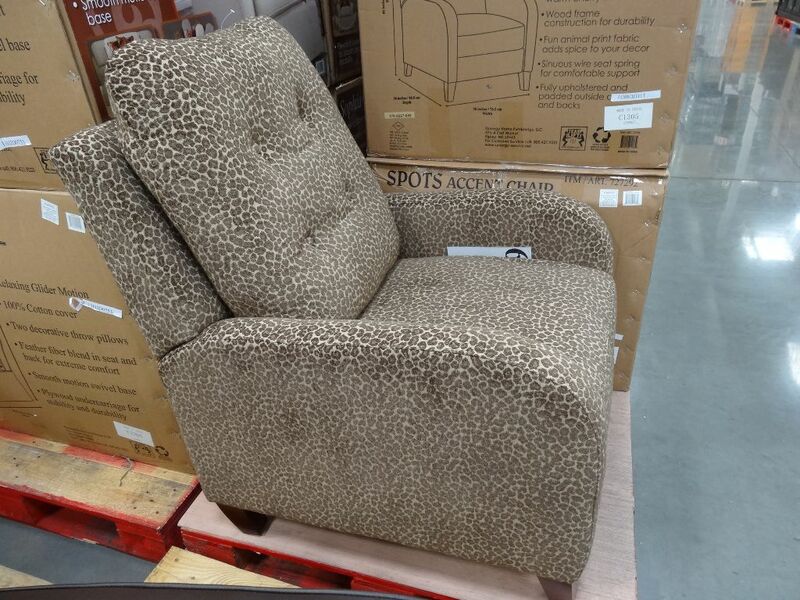 The Bayside Furnishings Writing Desk is priced at $199.99.